Hunger strikers make it to mayor's office, but he's not there. San Francisco, CA (2016). Community mural addressing immigration and health in San Francisco's Mission District, created in collaboration with PRIME-US and Clínica Martín-Baró, a free, volunteer-run clinic serving the Spanish-speaking immigrant community. 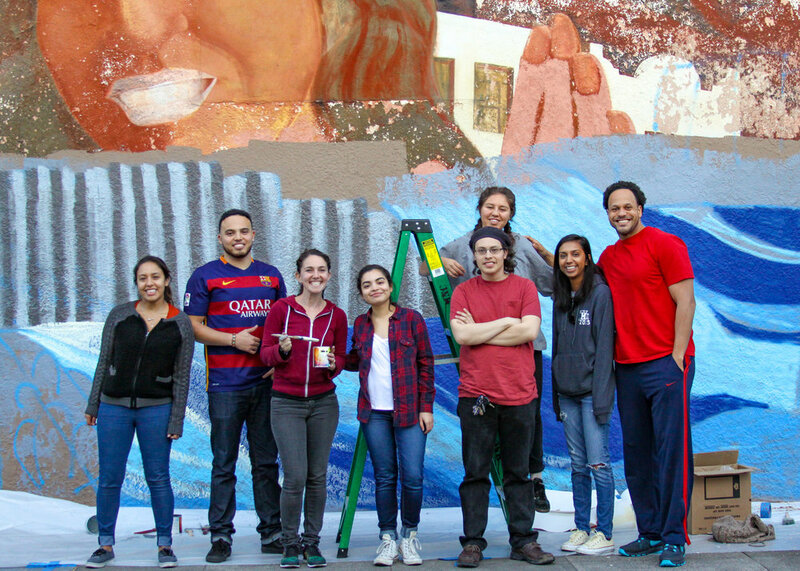 In the news: "Clinic Empowers the Mission District Community with New Mural and Free Health Care" (March 8, 2016) Led by UCSF classmate, PRIMate ('11), and muralist Yakira Teitel, MD. UCSF Program in Medical Education for the Urban Underserved (PRIME-US) Matriculating Class of 2011. 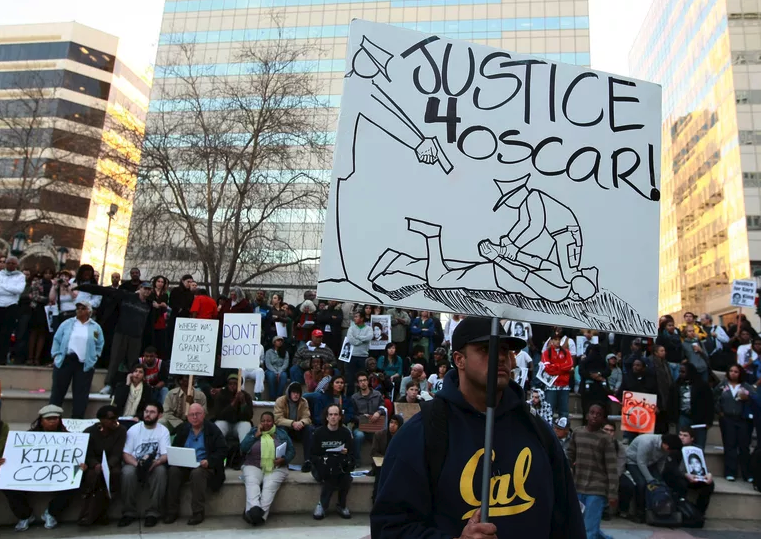 Oscar Grant Rally in Front of City Hall. The poster that went round the world. Thesis - Applied experiences of war to my honor thesis. Hunger Strikers put suffering on display, but are they in danger?